On October 31, 1517 Martin Luther nailed 95 Theses on the door of Wittenberg Cathedral. If that hammer could have announced the seismic changes to come in Europe and the Christian Church, its echoes would have shook the world. Today, however, it is hardly more than a whisper. For many Protestant churches, it has been like the “telephone” game, where a little was added here, a little changed there, a little taken away somewhere else. The general population has now moved into a post-Christian era, where differences in Christian theological tenets matter less than choices on the restaurant menu. So is the Reformation still relevant today? I came to the Reformation backwards, having been a Baptist and then a Presbyterian. After a long and winding road trying to merit divine mercy, God sent a Lutheran preacher to speak to me the message of grace: “By grace you have been saved through faith. And this is not your own doing; it is the gift of God” (Ephesians 2:8). The words had the same force and power they did when Luther rediscovered them, for one simple reason: they’re not Luther’s words; they’re God’s. This first principle of the Reformation we call sola fide: “faith alone.” Lutherans teach that we add nothing to salvation; Christ does everything. If we do not stand firm on this point, Luther taught, all is lost. The Christian gains salvation through faith alone. This does not mean that we put our faith in our faith, but rather that our faith relies on God’s promises and what Christ has done for us. In Christ, we find assurance of salvation—something we could never have if we had to look for sufficient sincerity, repentance, or prayer in ourselves. Instead we cling securely to the promise of Christ: “Whoever lives and believes in me shall never die” (John 11:26). The established church was quite happy to acknowledge the role of faith and grace in salvation, of course. It was that little word “alone” they couldn’t stand. To claim no works were necessary for justification seemed to fly in the face of reason. Many people in Luther’s day believed God justified the righteous (“good people”) and damned sinners (“bad people”) to hell. But Luther found in Scriptures this truth: God justifies sinners, purely by His own free will, solely based on what Christ has done. God did not save those who were trying to do their best or who were the most improved, but instead those who came empty-handed—or not empty handed, but with hands full of sin. Luther said we are saved by “sheer grace.” For Luther, the Scriptures were clear: justification is 100% Christ and 0% us, and any attempt to increase our percentage is heresy. For Luther, the Scriptures were clear: justification is 100% Christ and 0% us. This leads to the next principle, solo Christo: “by Christ alone.” Jesus said: “I am the way, and the truth, and the life. No one comes to the Father except through Me” (John 14:6). Luther’s theology was grounded in the incarnation. Christ’s incarnation—His becoming human—was necessary for our salvation. He lived, died, and rose again for us. The entire Bible is a revelation of Christ, and it is in Him that that God desires to be known. In Christ, God has hidden in plain sight, revealing His desire to save mankind. He puts off His heavenly glory, is born of human flesh and dies naked, nailed to a cross to save us. And so we rely on Him, not ourselves, knowing He did not come to show us the way but to be the Way for us. God transfers Christ’s perfect righteousness to us, taking away from us the sin we inherited from Adam. There is no way to obtain Christ’s righteousness except by being united to Him in faith. He did not come to show us the way but to be the Way for us. The other “sola” is sola scriptura: “Scripture alone.” This doesn’t mean that we should throw out all tradition. Some early reformers tried to do that, but Luther taught us to keep those traditions which are scriptural. Other traditions may also be kept, he said, if the congregation and church wanted them, so long as they did not contradict Scripture. What the teaching of sola scriptura did was set God’s Word above all earthly authority, including the Pope’s. It confirmed that Christ is head of the church, and it is His Word, not our interpretation of it, that must be the judge of truth. The Word of God interprets itself. Scripture must be read as a whole, not extracted as proof texts out of context. 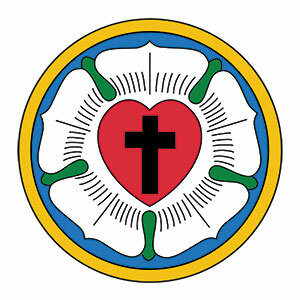 That’s why we follow the Lutheran Confessions: because they agree with Scripture. God’s Word is alive and active. Through it, the Holy Spirit works to convict us of sin: this is the Law. It leads us to repent of all the things we are and do that displease God. 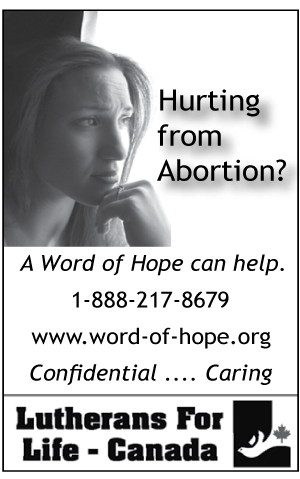 But the Bible doesn’t leave us in despair: the Gospel Word speaks forgiveness and comfort to us. The Gospel is that Christ is “for you”— He loved you and gave Himself “for you.” He accomplished everything necessary for your salvation. When Christ died, He said, “It is finished.” The Reformation Lutheran knows there is a period at the end of that sentence. The teachings Lutheran theologians have handed down to us are precious treasures—not because of tradition but because they are the true doctrines of Christianity. If you look at our Confessions, you will see references to Scripture over and over again. The authors knew that, if something contradicted God’s Word, then no matter how beautiful, ancient, impressive, and reasonable it may appear, it is not pleasing to God. The Reformation matters because the reformers were proclaiming God’s unchanging Word. 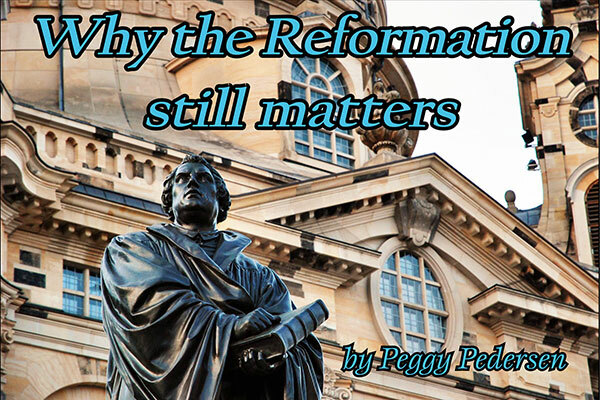 So what can the Reformers teach us today? The Reformation focuses us on the true mission of the Church. The Church is God’s kingdom, and it is where He bestows His gifts on His people. It is where His Truth is proclaimed. Sermons must not just talk about Jesus, but deliver Him. When we lose sight of this, we can become confused as to our purpose. We are drawn to adopt the marketing model of business, the numbers-model of mega-churches, the social service model of charitable institutions, or, worst of all, to feel we need to “update” our doctrine and practices to meet the changing philosophies and mores of the world. Christ has told us that we are to be in the world but not of it. We can learn from the Reformation the importance of using media to spread the Gospel, but always remembering that it is the Holy Spirit creating faith in human hearts through His Word, not our methods. The Reformation taught us we must, above all, know and cling to God’s Word. All who depart from it lose their way. In our age there is a great falling-away, with many paths offering enticements and ease. The path of the cross appears bitter, and many turn aside to follow paths that seem sweeter, more culturally acceptable and “tolerant,” yet are lifeless. Lutherans, having learned that biblical truth is often in paradox, know that the path of glory leads to sorrow and the path of the cross leads to joy. The Reformation taught us we must, above all, know and cling to God’s Word. Peggy Pedersen is a freelance writer in Victoria, B.C., where she is a member of Redeemer Lutheran Church.